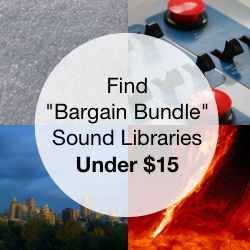 A bundle of 15 crowd, sports, crowd, weather, station, construction, and other atmospheres. A 1.69 gigabyte selection of 25 rush hour business crowds and bustling corporate pedestrians. 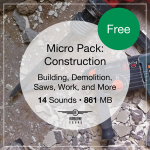 A pack of 20 courthouse crowd sound clips: halls, atriums, courtrooms, & corridors. 1.5 GB. A collection of 10 crowd, people, and pedestrian sound fx: cafes, college, fair, train and subway stations, and more. 1,106 gun, rifle, and shotgun clips in over 7 gigabytes of audio. 580 blade, bow, & impact clips. 7 jet airliner models screaming by in 30 sound effect clips and 445 megabytes. 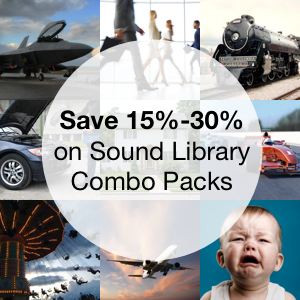 Want more free sound fx? 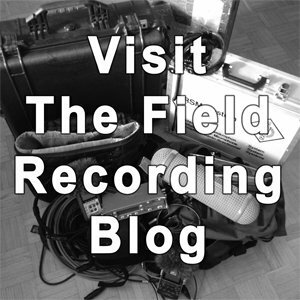 Some of our blog posts include free sound clips that you can download via the SoundCloud player in those articles. Browse all posts that include free SoundCloud downloads.